If you're a fan of Star Wars, this item is a must have. 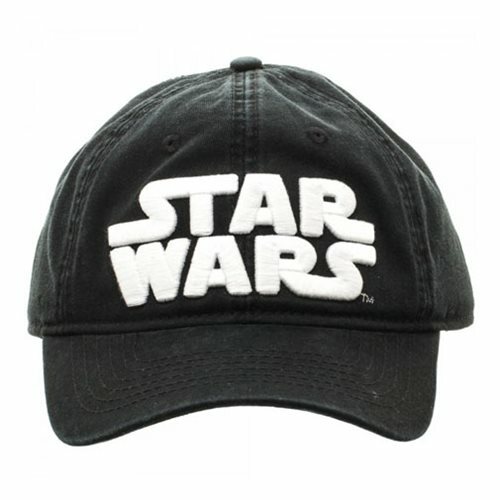 Featuring the logo of Star Wars on a classic black hat, this hat should be a staple in every fan's wardrobe! Perfect for days out in the sun or for showing off your fandom, this Star Wars Logo Black Adjustable Hat is adjustable and will thus fit most head. This hat is made from 100% cotton twill and is hand wash only.